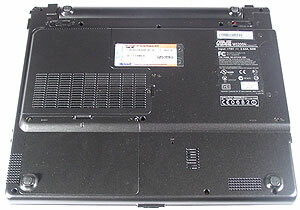 In the ASUS S5200N review I mentioned that ASUS line of Centrino based notebooks was almost complete. But the company released two new models. The M6 is yet to be studied yet, and today we will test the ASUS M5200N. 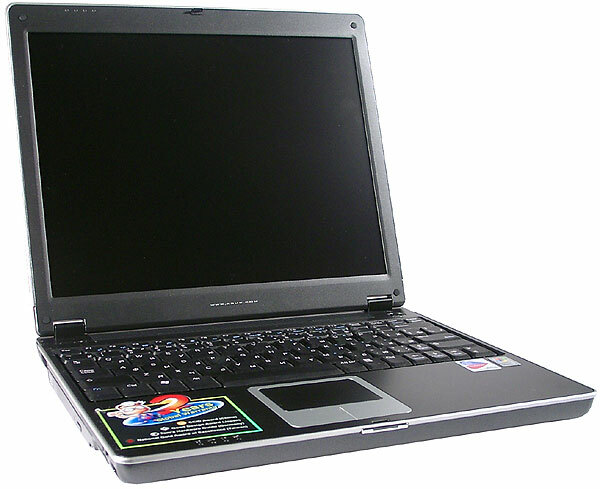 In comparison with the S5200N, it has an optical drive built in the case. 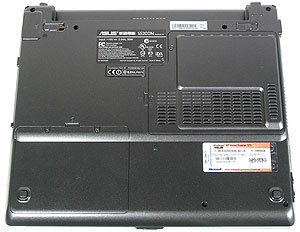 * - The run-down life is measured with Mobile Mark 2002 benchmark in the ASUS Power4 Gear mode. You should take these data critically because they depend on the CPU clock and the power consumption mode as well. Power consumption will be closer discussed in the Test section. 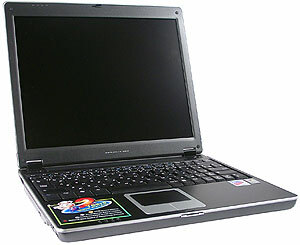 The developers managed to place the optical drive so that all interface connectors of the S5200N remain as is. However, it wasn't a free operation - M5200N is 0.5cm thicker, 1cm longer and 200 g heavier. But the difference can be noticed only if the notebooks are placed near each other. Besides, the run-down life is shorter. 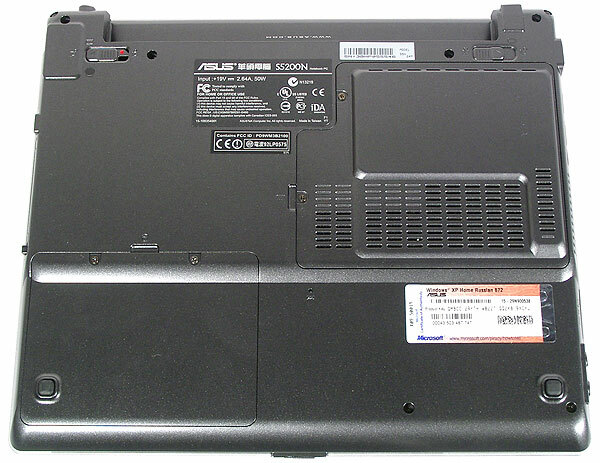 By bringing the M5200N onto the market ASUS allows users to make their choice - some need a notebook as light as possible, others need an optical drive integrated. The accessory pack has two changes: first it lacks an external optical drive, and secondly, a wireless mouse is replaced with a cabled one. The manufacturer probably believes that this models is going to be used in less extreme conditions. The case design hardly changed compared to the S5200N, only the lower half looks more massive. The lid is made of alloy that contains carbon fiber which makes it stronger by 20% as compared to Mg-Al. 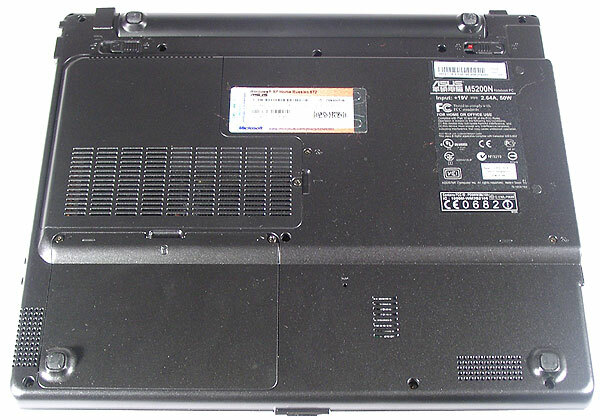 Its back side is again very similar to the S5200N. The battery takes the back side wholly, and a higher-capacity battery might jut out. The power supply connector is on the left (moved from the right side) and IEEE1394 (in place of the Kensington lock). The CPU unit is located in a different place. Besides, there's now a speaker underneath. Frankly speaking, I don't understand why they mirrored the connectors. Now the cooler drives air outside through the right panel which is not very convenient when handling the mouse. However, I don't have any complaints about using the ports. the same keyboard with narrow keys in the right section and the same LED section. Well, the ergonomics hasn't changed much. 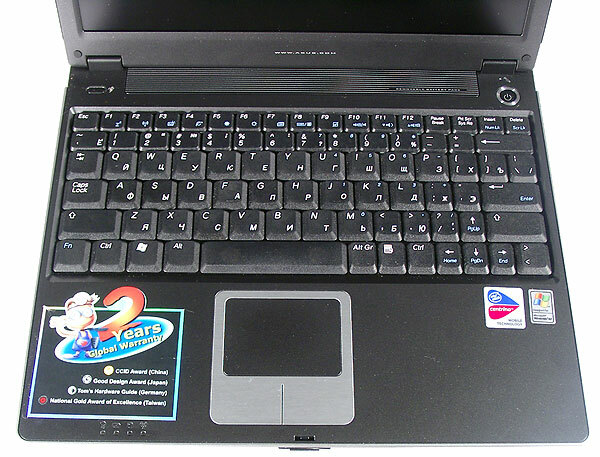 Besides, I haven't found any advantages when handling the touchpad, however, the M5200N looks even more effective. By bringing out the M5200N ASUS continues fragmenting the market niche of actively travelers and offers a wide choice of notebooks satisfying various needs. Since I'm not in this category of users, I can't estimate prospects of this model but I think it will takes a certain market share. All ASUS notebooks come with a two-year limited international warranty from February 2002. At the company's site you can find all information on ASUS solutions, their configuration and prices, as well as drivers for them. ASUS M5200N is based on Intel 855GME chipset and DDR333 memory. The faster memory must speed up the performance as compared to the notebooks equipped with the processors of the same clock speed and DDR266 memory. To estimate the gain compare the results with the Acer TravelMate 661LCi (Pentium-M 1.4 Ghz, 512MB DDR266 SDRAM, 1400x1050 15" TFT LCD, 65 Whr battery). First comes the run-down life test. The performance was measured with the Power4Gear utility disabled and in all its possible modes. Besides, there are also diagrams for the 48 Whr battery. The run-down life must have increased twice. But it's even greater in reality. The power consumption management utility increases the run-down time but it's almost impossible to work at the Maximum Power Savings - the display brightness is reduced to 20%. But the notebook really works 2.5 hours, as specified. Actually, you can comfortably work in the High Performance mode which hardly differs from the Portable/Laptop Windows XP mode. In all other modes the time of operation grows up at the performance decrease. 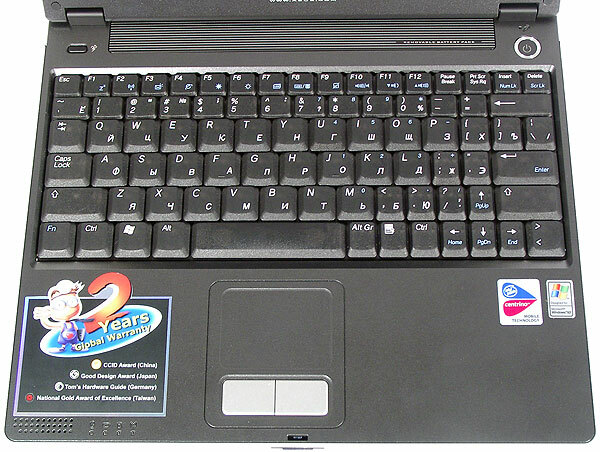 With all other conditions being equal, in the standard mode, ASUS M5200N beats Acer TravelMate 661LCi. However, we can't make the comparison really equal because of different matrix resolutions. ASUS is ahead again, with the best gain taken in the business applications. Maybe the reason is that the files processed wholly hit the memory. Now comes 3D graphics. Taking into account that the video memory is a part of the system one, ASUS also must have an advantage in this test at the expense of DDR333 SDRAM. The advantage is really great. 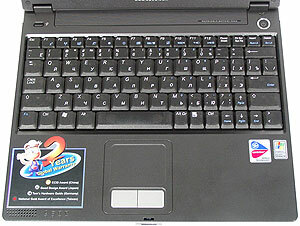 ASUS M5200N proves that a notebook really becomes a mobile device in the Centrino era. A wide range of portable models allows a user to choose a model that would satisfy all his needs even in one manufacturer's line.